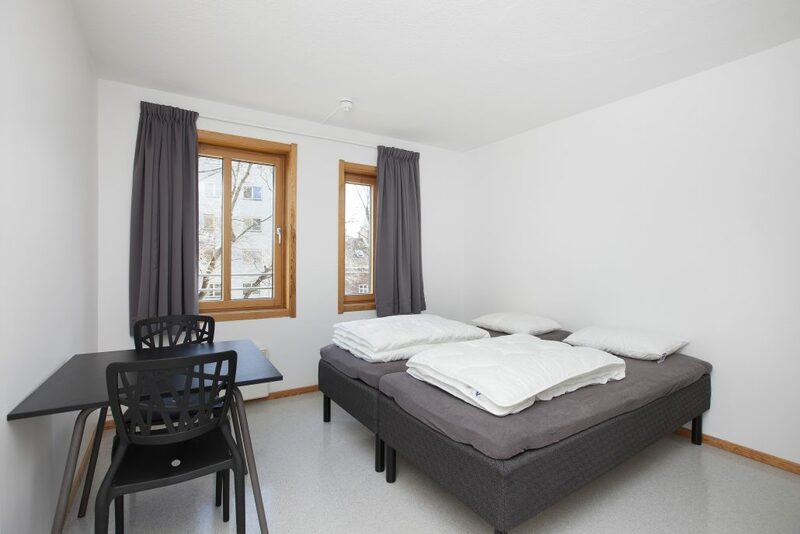 A bright twin/double room for one. Sometimes you will get a room with more beds, but they will be empty. The room has a private bathroom and kitchenette.